Spectral polarization observations of radio sources above sunspots are regularly carried out with the RATAN-600 radio telescope (RATAN is a Russian acronym for the Radio Astronomical Telescope of the Academy of Sciences). The in-depth studies of the spectra reveal new effects. 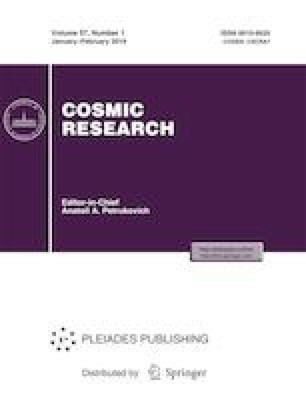 In this paper, we analyze the manifestation of radio emission of the fourth gyrofrequency harmonic in microwave spectra obtained with 1-percent frequency resolution in a range of 3–18 GHz. Registration of the extraordinary mode in the short-wavelength range of the spectrum is compared to the model calculations of the second-to-fifth gyrofrequency harmonics against a background of the thermal bremsstrahlung emission of flocculi, surrounding the spot structure of an active region. The brightening of the extraordinary mode in the short-wavelength spectral range and the kinks in the intensity spectra of emission are analyzed. The interpretation of the RATAN-600 observational data with probable diagnostics of the emission of the fourth gyrofrequency harmonic is considered as examples. The study was performed according to the Government Contract no. АААА-А17-117011810013-4 and supported in part by the Russian Foundation for Basic Research (project no. 18-02-00045) and Program 28 of the Presidium of the Russian Academy of Sciences (Cosmos: Studies of Fundamental Processes and Their Interrelations, project 1D).